Like many of you golfers out there, I'm always looking for ways to improve my technique and shave strokes off my game. 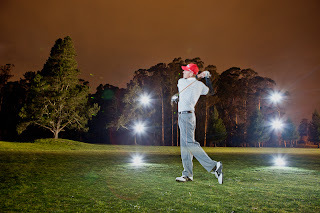 Parker Hammond, PGA Class A Professional at DeLaveaga Golf Course in Santa Cruz and Director of Functional Golf, is just the guy to do this. Parker graduated from the University of Idaho in 2009, majoring in Business Marketing with an emphasis in Professional Golf Management. Mentored under some of the top instructors in golf including Rick Walker, founder of the Functional Golf Program, he is devoted to giving quality instruction while keeping the game fun. This Santa Cruz native has been playing golf since age ten and participated in many Jr. State Events. He is exceptional with kids and is committed to teaching the fundamentals of golf as well as instilling good sportsmanship. Whether you are just getting started or just wanting to better your existing skills, look no further.